Hollywood is on the verge of a massive boycott. And the Oscars may be the tipping point. If you know where to look, you can see this sentiment building. 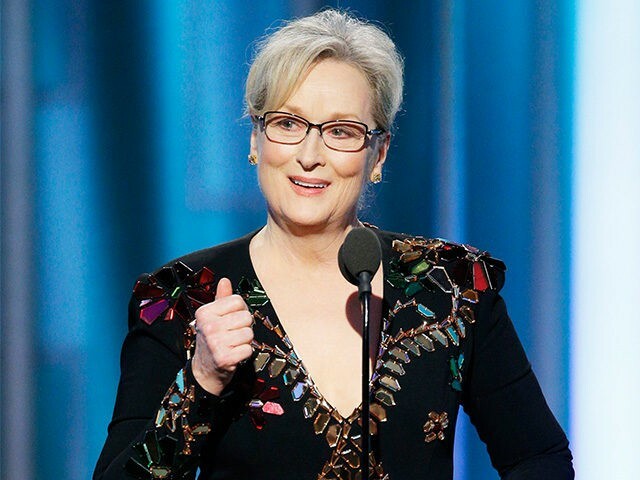 After Meryl Streep’s Golden Globes tirade against President Trump, the #BoycottHollywood hashtag flooded Twitter feeds. A few weeks later, and just a day after the inauguration, Madonna shared her thoughts of “blowing up the White House” – effectively throwing kindling on the flame. At the SAG Awards, following a long procession of anti-Trump virtue signaling, David Harbour, star of the Netflix hit Stranger Things, vowed to “punch some people in the face.” Calls to boycott Hollywood promptly peppered the comment sections of conservative news reports. Then, as rioters pummeled, sprayed, and set ablaze the campus of UC Berkeley in an attempt to cancel a provocative Trump supporter’s speech, calls for a boycott spiked as Debra Messing, Judd Apatow, and Sarah Silverman seemingly condoned the violent uprising. Silverman went as far as suggesting a military coup. Understandably, many were bracing for a lecture come Super Bowl halftime. But a collective sigh of relief could be heard across the country as Lady Gaga did the now unimaginable…she simply entertained. With the Oscars under two weeks away, Hollywood media is telegraphing a political tsunami. Owen Glieberman, chief film critic for Variety, the industry flagship with huge sway over a movie’s success, called on the Oscars to go political and inspire protest. United Talent Agency announced the cancellation of its annual awards party to make way for a rally supporting refugees. Powerhouse agency WME-IMG announced it would form a new political action committee (PAC). Even a toddler could predict its tone. These numerous and concentrated developments have ignited an already present #BoycottHollywood tribal trigger that film studio number-crunchers should heed. Tinseltown has survived past public resentments… but this time something is undeniably different. Film and TV viewers now have innumerable options – with some that completely bypass the industry’s tollbooth. Simply put, the public doesn’t need Hollywood anymore to be entertained. This shift has been brewing for well over a decade. From a peak of 1.58 billion, annual U.S. ticket sales have declined 16% from its 2002 high…or just over a quarter of a billion seats per year. This decline occurred while the population, number of theaters, and number of movies made annually all increased. The slide also started before the proliferation of social media, cheap flat screens, streaming services, and the like. A large segment of the American public is finding other things to do – and political lectures won’t help buck that trend. These condescending lectures have also helped spark another, more nefarious behavior…theft. Evidence of this practice can be seen anecdotally in the comment threads of conservative entertainment media. But data also shows new genres of piracy taking hold. A 2016 report, written by this writer, revealed a renaissance in “stream ripping” – software that allows users to rip audio from streaming music videos. Thirty percent of Internet users report using stream ripping – an unauthorized downloading behavior riling an industry that has suffered a 60% revenue decline from its 2000 high. A similar software is impacting Tinseltown – a peer-to-peer file-sharing protocol called BitTorrent, with the most popular app being Popcorn Time. This software allows users to access newly released films and TV shows with a library that far exceeds any subscription streaming service, and at a much cheaper price…namely, zero. The eloquent user interface rivals Netflix, and is sending shudders down the spine of film underwriters. In 2015, the app was reportedly being downloaded an astonishing 100,000 times per day. And remarkably, Popcorn Time has persistently evaded anti-piracy efforts. So before breaking ground on these new political endeavors, Hollywood should rethink its political posturing. The industry is teetering towards a boycott by an enormous, fully engaged segment of the population that clearly has other options. As the music industry has shown, long-term behavior can forever change. And if this past election cycle has revealed anything, it’s that Tinseltown no longer holds a monopoly on shaping cultural mores. So why risk it with political lectures? Patrick Courrielche is a cultural commentator and co-founder of Inform Ventures. He can be followed on Twitter @courrielche.